It’s been about a month since I last posted and it’s not for the lack of baking, beading or knitting. I did a bunch of baking for a friend’s birthday earlier this month but stuck to treats that were among his favorite and ones that I have blogged about before- my newly discovered pumpkin doughnuts, mini chocolate-chip cheesecakes and a strawberry shortcake birthday cake. As for knitting, I recently completed two scarves which I plan to post about soon – a ruffle scarf for a friend and a cowl neck for myself. I liked the ruffle scarf so much I am planning on making one for myself. And finally beading, after about a four month hiatus I finally picked up some beading needles and started making jewelry again. 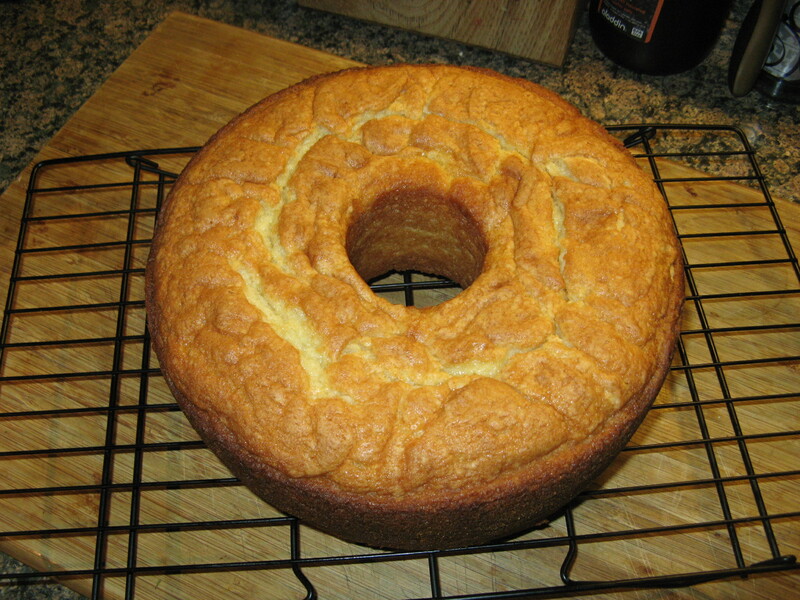 But in between all of that I did try out two recipes for what I like to call comfort desserts – a pound cake and a rice pudding. I know rice pudding is not most people’s cup of tea when it comes to desserts, but it has been a favorite of mine for quite some time. Both of these recipes are super easy to follow and turn out some delicious treats. Mix flour and baking powder; set aside. Beat cream cheese, butter, sugar and vanilla in large bowl with mixer until blended. Add eggs, 1 at a time, beating after each until blended. Gradually beat in flour mixture on low speed until blended. Pour into 12-cup fluted tube or 10-inch tube pan sprayed with cooking spray. Bake 1 hour or until toothpick inserted near center comes out clean. Cool in pan 10 min. Loosen cake from sides of pan with knife. Invert cake onto wire rack; gently remove pan. Cool cake completely. Bring water, salt, and butter to a boil in a medium saucepan. Add the rice, return to a boil, and then reduce the heat to the lowest setting. Shake the pan occasionally and cook until rice has absorbed the water but it still al dente, about 15 minutes. Bring milk, sugar, vanilla, and a few dashes of cinnamon to a simmer in a separate saucepan. 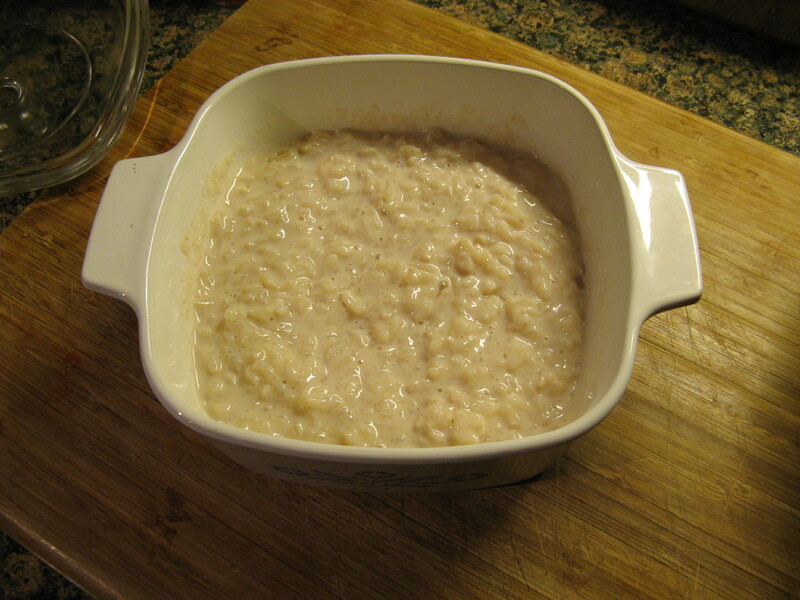 Add the cooked rice and cook at a simmer over medium-low heat until rice absorbs most of the milk and mixture starts to get thick and silky, about 10 to 15 minutes. Transfer pudding to a large bowl and cool to room temperature. Place in refrigerator until cool and set. Serve with whipped cream and a dash more cinnamon.